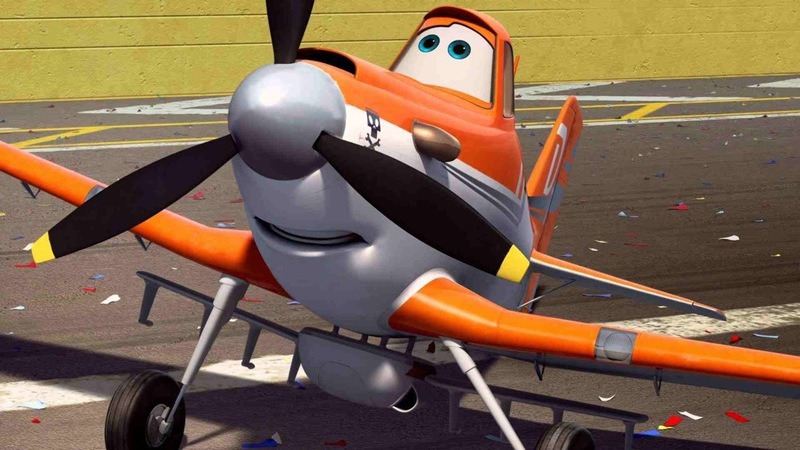 Dusty Crophopper (voiced by Dane Cook) is a cropduster plane who dreams of being a racer in the upcoming Wings Across The World race. He qualifies for the race, surprising everyone. Can Dusty overcome the odds and win the race and, perhaps more importantly, the respect of his fellow racers? 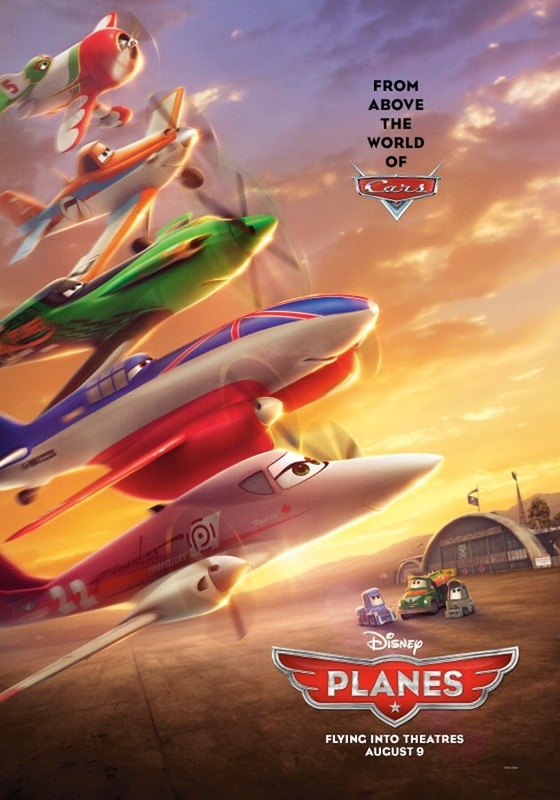 Planes isn’t great but it isn’t BAD. It’s certainly no Pixar film but I’d say it’s at least better than Cars 2. This wasn’t made by Pixar but is set in the same world as Cars, which will probably make a lot of people assume it’s a Pixar film due to it having the same look as Cars. I’m still not sure why they’ve chosen to do a spin-off of Pixar’s weakest set of films? I suppose it’s down to all the money that has been made from the Cars toys & merchandising. I went in with very low expectations so I ended up enjoying it more than I assumed I would as I’m not a fan of the Cars films (although the first Cars is still a better film than Planes). 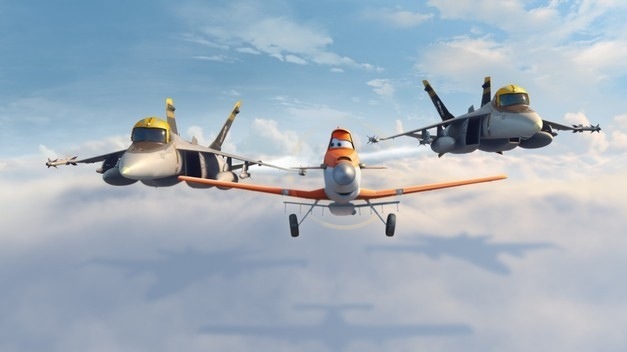 Unlike the majority of Pixar films, which most adults love just as much as their children do, Planes is definitely for the kids. In this way, it feels more like the stuff we get from studios like Dreamworks – I see those as decent enough kids’ films but would never consider any of them to be actual all-time favorite films of MINE, like I do with things like WALL-E & Toy Story. 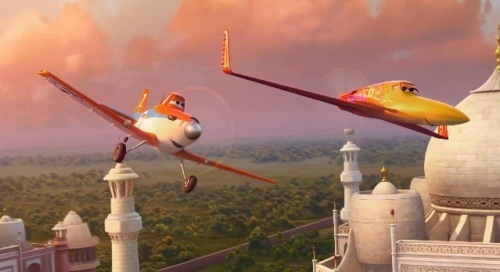 Planes has the usual kind of feel good story with a moral that you always get from a Disney film (believe in yourself, be kind to others, yada yada). It’s simple & predictable but your kids will be kept entertained. They’ll root for Dusty and his two likeable friends that stick by him as he tries to compete in the famous race. 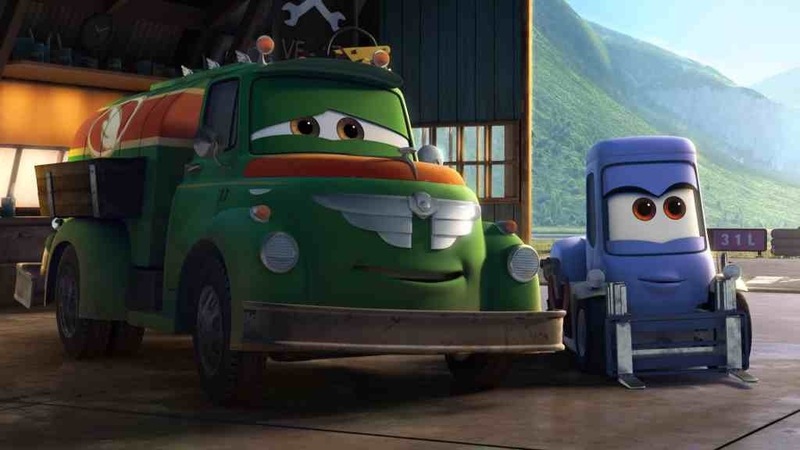 The friends are a forklift/mechanic named Dottie (voiced by Teri Hatcher) and a fuel truck named Chug (voiced by Brad Garrett). 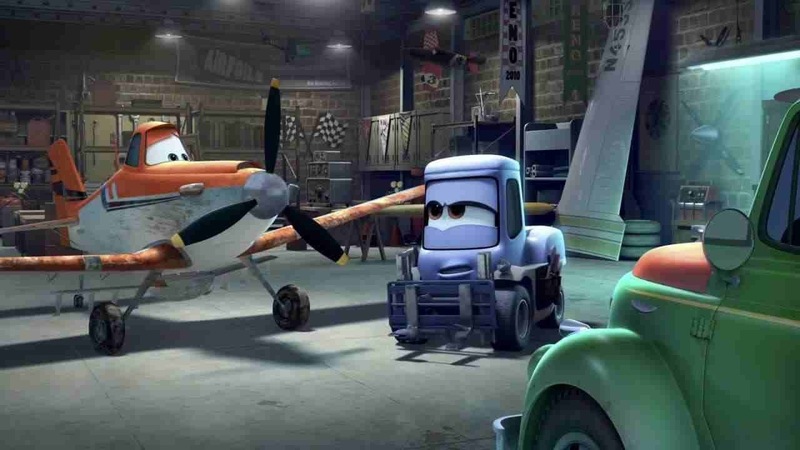 And an old war plane named Skipper Riley (voiced by Stacy Keach) helps Dusty to train for the race (think “Gill” in Finding Nemo as it’s pretty much the exact same character but a plane instead of a fish). Then there’s a bit of a love interest and some double crossing from a nasty race rival – You know, all the usual stuff in a kids’ film… There’s nothing exactly groundbreaking here! Which isn’t what kids want from a movie anyway. I think us adults have just been spoiled by some excellent animated films in recent years so it’s hard to not expect a little more from them. But they can’t all be Monsters Inc, I guess. Predictable feel good Disney film that will keep your kids entertained. This one really is for the kids, though, so don’t expect Pixar-levels of fun for the entire family. 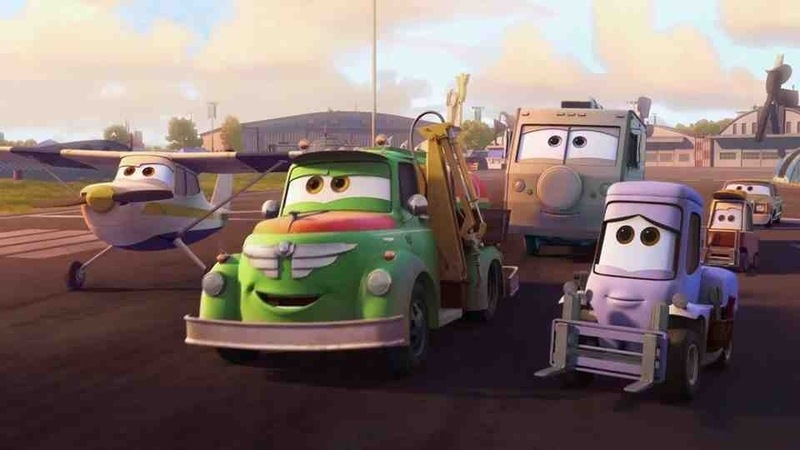 This isn’t made by Pixar nor is it even as good as their weakest offering, Cars (of which Planes is a spin-off). If your kids like Cars, give this one a go. I’m sure they’ll like it but you’ll probably be a little bored. It’s not bad – It just comes nowhere near some of the all-time classics we’ve had from Disney and Pixar in the past. It sounds like it would make me want to kill myself. Disney should’ve kept this as a straight-to-DVD release. Is this a fart from Wall-e?